We’ve been reading and hearing a lot recently about FBI (Federal Bureau of Investigation) and DOJ (Department of Justice)and State Department leaders and employees who seem, at the very least, to have no love for America. Let me state that this is nothing new. Nor is there anything revelatory in recognizing that Ivy League grads tend to be leftists. In a review article I wrote a decade ago I highlighted this tendency in U.S. government bureaus as shown by M. Stanton Evans, in his book Blacklisted by History. For those of you struggling to understand “cold war” history, it might be worth your while to find a copy of this book and give it a read. The entire review article can be found below. Please give special attention to the paragraphs in colored ink. At Friendship Street School in the early 1950s, we were taught that hiding under our school desks would save us from nuclear attack –- which, in the lingua franca of the day, the Satan-loving Commies in the Kremlin were poised to rain down upon us at any moment. These exercises were the famous “duck and cover” drills. Yet, while we feared Communist-initiated death from the skies, as a nation we tolerated -– even fostered -– Soviet activity within our own government. enough to vilify Joseph McCarthy, a U.S. senator from America’s heartland who tried to root out the Reds from service in our federal apparatus. So successful were efforts against the senator that the term McCarthyism has become synonymous with wild-eyed fanaticism. I recall the tales of Joe McCarthy and the anxiety of the 1950s. At the very onset of the Cold War, Americans were told whom we ought to fear, and it wasn’t so much the Communists, though they were bad enough. Why, it was McCarthy and his “ism” that brought terror to men’s hearts. But was this any way to treat a former ally of WWII? If so, why? Why the about-face to the Soviet Union? This is one of the questions M. Stanton Evans tries to answer in his recently released Blacklisted by History: The Untold Story of Senator Joe McCarthy and His Fight Against America’s Enemies. According to Evans, the real Joe McCarthy has been lost, “vanished into the mists of fable and recycled error.” This new 600-plus-page book is an attempt to separate fact from myth, and in the process, Evans shows McCarthy to be, yes, human (his foibles are not overlooked), a whistleblower, and (gulp!) a patriot. What can we say? When Ann’s right, she’s right. Based on years of research, Evans has indeed produced the goods. 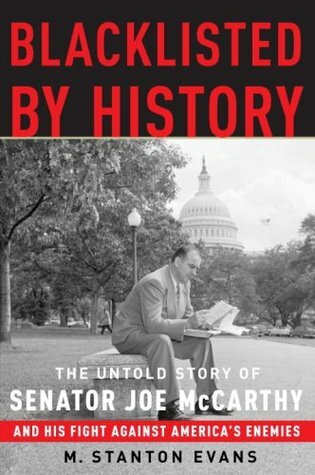 He shows from transcripts of memos, interviews, and testimony that McCarthy had it right. Evans includes facsimiles of numerous documents that name names and prove connections. Evans links names of Communists and fellow-travelers to the agencies of the federal government in which they worked as well as to the Soviet or Communist organizations to which they belonged. These federal agencies include the FBI, headed by radical anti-Communist J. Edgar Hoover. The Bureau was excoriated in the 1940s and 1950s for a lack of knowledge regarding the Communist Party and its various front organizations. The FBI was accused of both withholding facts from President Harry Truman and of allowing Reds to run riot in the federal bureaucracy. But according to Evans, the “FBI was neither fooled by nor indifferent to Soviet penetration efforts in the 1940s. Nor was it unaware that the Communist Party USA was a creature of the Soviet Union, up to its ears in spying, pro-Moscow influence schemes, and other species of subversion” (p. 136). Evans devotes an entire chapter (11) to Hoover and Truman, quoting from numerous internal FBI memos that prove not only that Hoover knew about the Communist threat, but also that he informed the President and administration. The chapter concludes with a copy of the “FBI Master Chart” from Hoover’s files. The chart offers an overview of memos, and other information, that were disseminated to the White House, the Office of the Attorney General, and federal agencies that employed suspected or known Communists. According to an AP report released late in 2007, Hoover had planned to arrest 12,000 Americans whom the FBI had evidence demonstrating disloyalty to their country. Evans contends that many in positions of authority knew how great was the infiltration of our government by those who would destroy it. Evidently, when in 1956 Nikita Khrushchev asserted, “We will bury you,” he had reason to be cocky. He knew what Hoover and McCarthy and Rep. Martin Dies before him all knew: The U.S. government was deeply compromised. Dies, a conservative Democrat from Texas, was the “first and longest-serving chairman of what would become the House Committee on Un-American Activities” (p. 49). McCarthy, by the way, was never a member of this House committee, though his name is inextricably linked to it. He was a Senator, not a member of the House of Representatives. Perhaps, modern Leftists hope to forestall scrutiny of their work lest their anti-Americanism is exposed to the common people and their time in the sun be all too brief. Leftist elitism runs rampant in our media, our universities, even in our pulpits today. As during the Cold War, one wonders about the loyalty and even the intelligence of those who offer aid and comfort to the enemies of our nation. For example, what makes today’s liberal think that, if radical revolutionaries –- whether domestic born or foreign controlled — should scuttle the American experiment, that liberals themselves won’t be first in line for membership in the vast left-wing gulag or next on the executioner’s schedule? Evans provides something of an answer to this question. He points out that the Communists who were exposed in Britain and the United States tended to be of the “upper crust.” McCarthy’s targets, Evans writes, “often as not, were Ivy League respectable types in the mold of Hiss or Duggan” (p. 64). Alger Hiss, of course, is one of the most well-known names in American treachery. Evans describes him as “a well-bred, respectable type with all the right credentials.” Hiss was “one of a numerous, often upscale, band of brothers. William Remington, Donald Wheeler, Henry Collins, Duncan Lee, Laurence Duggan, Robert Miller, and others involved in Red machinations in the United States had been to the best schools, spoke in cultured accents, and had upper-crust connections” (p. 62). Respectable Haters Of Republic of Freedom Flash-forward to the present and we see that today’s Leftist tends to be from Harvard or Yale and has, if not buckets of money, at least access to lots of cash. Much as with the European aristocracy of old, nationality means little to this modern nobility. Patriotism is something to be scoffed at, ridiculed, and perhaps outlawed. “Wrapping oneself in the flag” is a negative, outmoded manifestation of peasantry. The global gentry has the ability to see beyond that kind of primitivism to a time and place in which the ever-growing “compassionate” state (manned, not jailed, by that very same nobility) orders our existence. After all, they are smarter than we the people. Isn’t that why the “smartest woman in the world” wants to be President? The political affiliation of these respectable haters of the republic of freedom has changed little. Nor has their Marxian ability to change viewpoints to suit their need been affected by time. Evans points this up brilliantly when noting how Executive Privilege was then used to keep some federal employees from testifying before Congress regarding what they knew and when they knew it. As a member of the House, and later as Vice President, Richard Nixon would be party to those discussions, which more often than not upheld the right of Executive Privilege. He, however, would be extended no such privilege during his own time of crisis. “If Nixon had such expectations,” Evans writes regarding the Watergate investigation, “he was in for a rude surprise. It turned out that what had been a sacred constitutional precept when invoked by Ike against Joe McCarthy wasn’t so sacred when invoked by Nixon against Sam Ervin. (p. 580). Although some may find that this admirable book could be more readable in parts, no student of history should shy away from this wonderful resource. It is well worth mining for nuggets and even whole veins of truth. In Blacklisted by History, Evans wrote a truly timely book. He sets out to verify what McCarthy tried to tell the nation: that we were being overrun from within. Evans has made his case. Then, as now, there was more to concern America and her freedoms than bombs falling out of the sky. MY READERS, please note: this article – and the book about which it was written, appeared a decade ago. The morass in which we find ourselves is no new thing. And it’s our own fault. We keep electing the American jihadis who hate the American way as they hide behind their own walls in their gated communities. I really want your feedback Americans. Curt Lovelace holds degrees in political science and history, and pastored several churches. His writings have appeared in Human Events, World, Chalcedon Report, and elsewhere. As I have been looking for work, I have tended to keep away from controversy online, recognizing that prospective employers may read what I write and attach their own meanings. “He’s not in favor of my ‘isms’” is a an easy way to pare down the numbers of recruits and interviews. Now, however, recognizing that I may well have been “aged-out” of meaningful employment in the fields for which I have been trained and educated and spent decades mastering, I will once again enter the fray. I also fit into a number of other categories which are generally despised by progressive society today. I am married to a woman. I am a Christian. I am pro-life. Deal with it – or don’t. Not my problem. I refer you back to Popeye. My thoughts on the destruction of American society are not recently acquired. In fact, I am reposting, below, an essay I penned a couple of years ago. My thoughts on the subject matter were not new then, either, but a lot of my thinking on societal issues is revealed. So, have at it. Enjoy it. Hate it. Comment on it. Try to employ a little civility, though. This is America, 2016. Everyone (except a few now-anointed minorities) is considered toxic and offensive. By virtue of having been born male, or white, or middle class, entire segments of the population have been deemed worthy of scorn. 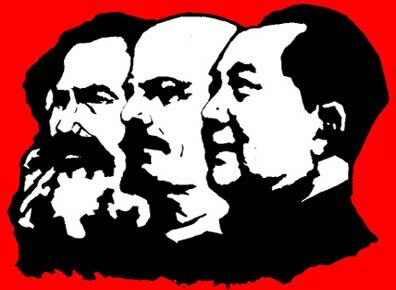 While nations of the former Soviet bloc seek to distance themselves from their communist past, America rushes headlong into the numbing and dehumanizing morass of Marxism-Leninism. Consider this excerpt from The Great Soviet Encyclopedia. Marx regarded “the weapon of criticism” as an effective means of the proletariat’s class struggle under the conditions of capitalist society, with its inherent social antagonisms. Lenin stressed the vital importance of criticism and self-criticism for carrying out the socialist revolution and for the work of the Communist party. In the course of the workers’ and communist movement and the national liberation struggle of peoples the weapon of criticism has been extensively employed to expose the exploitative essence of capitalism and the policies of the ruling classes and to bring about the revolutionary overthrow of the capitalist system and the liberation of the toiling people from social and national oppression. Under socialism, the change in the nature of social relations and the elimination of antagonistic contradictions and exploiter classes fundamentally alter the purpose and nature of criticism. The weapon for the destruction and revolutionary overthrow of the old system becomes an instrument for the creation of socialism and communism. Notice the aim of the self-criticism: to get rid of the old system (capitalism and democracy) and replace it with the glorious socialist and communist state. The purpose of such declarations of our own sinfulness is not the creation of a Godless state, however, as is the aim of the self-criticism session. Rather, the aims of confession to one another are unity and healing. We are not confessing for the party bosses to hear us. We are proclaiming our need for prayer and claiming for ourselves the prayer of the Godly. The admonition to pray for one another, for the other members of the household of faith, is found in many places throughout God’s Word. America is in a bad place. Americans today are thin-skinned and intolerant; easily offended by the least offensive statements and acts. Perhaps these modern self-criticism sessions are a plea for prayer. Certainly our nation needs it. Pray for our country and for the generations of Americans affected by the current wave of self-loathing called for by those who do not recognize the image of God in mankind. In just a few days the Electoral College will convene and confirm the election of President-Elect Donald Trump. There is just one problem. He has not called me yet to fill some post in his administration. So, I will offer to him, free of charge, this post I wrote a presidential election cycle ago (with very few alterations). I have become less and less interested in politics in the last couple of presidential cycles. I guess it would be more accurate to say I have been dismayed at the quality of candidates we’ve had. Then I realize that we get the candidates we deserve. But there are days, like yesterday, when I say things like, “That wouldn’t be a problem if I was King – or Emperor.” Believe me folks, neither you nor I really wish that were true. We would not be dependent on foreign oil. We w ould drill on our own land, being careful, of course, not to be destructive. Why is it, I wonder, that compassionate liberals find it wrong to disturb the tundra to drill for oil in our own nation, but think it’s OK to drill in other lands. (See this very current story). English would be the official language of the land. I don’t have a problem with people speaking whatever language they want, but in order to do business, we should speak the same language. As I travel to other countries I find nearly everybody speaking English or wanting to learn. Not Here (unless I was Emperor). We would not be moving toward a planned economy. We would actually learn from the history of the Soviet Union that planned economies do not work. We would recognize that all the former Warsaw Pact nations are striving after capitalism. Illegal immigration would go away. I understand that people still want to come to this country for its many benefits. This Emperor would make sure that they do it legally. All benefits of any kind would be cut off to those who sneak into our country. I recognize that there would be hardships. Compassion would be part of the formula, but…. We would have a flat tax of some sort. We would get rid of the thousands (maybe millions) of pages of tax law, and the IRS. We would rid ourselves of much of the bureaucracy which exists in government at all levels. The Education Department would be the first to go. Recognizing that strong fences make good neighbors, I would fund the Department of Defense adequately. I would either fight the war in Afghanistan on terror to win – or get out. We should have learned in VietNam that you cannot fight a war half-heartedly. I would separate church and state. This means that I would not interfere with the religious beliefs of the people unless they constituted a danger to the nation. Remember, I’m the Emperor and I decide what constitutes danger. I would not allow foot washing stations to be built in public places (like airports and schools) at public expense, while denying manger scenes. I would review all government policies having to do with health care. Maybe if the government got out of the way, health care would be more affordable. Did I mention no free health care for illegals? This is a partial list. What would be on your list? The elites of our nation are no different from the royals of Europe who, in times gone by, intermarried regardless of nationality or supposed loyalties. They only mixed with their own kind. Even in our democratic republic, breaking through the lines of elitism, old school ties (Ivy League, don’t you know), and family money is no easy task. Will members of the current administration ever be held accountable for their high crimes and misdemeanors? Not likely. But keep the faith. Despite all this, my friends, God remains in control. Never doubt it.